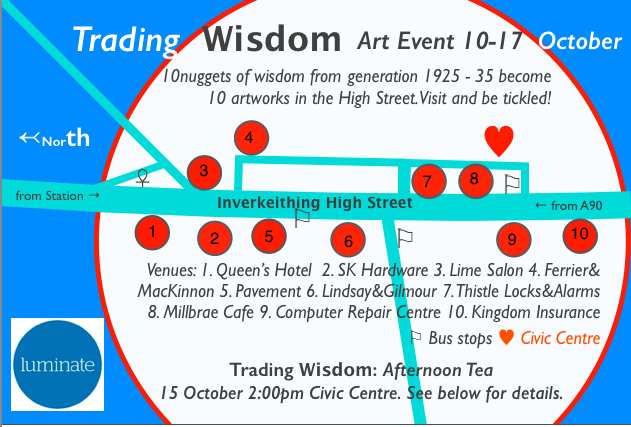 Rosie Gibson has collaborated with older people in Inverkeithing to create wonderful works of art incorporating their nuggets of wisdom! Find each of the 10 works incorporated into the trade of one of the 10 local shops. 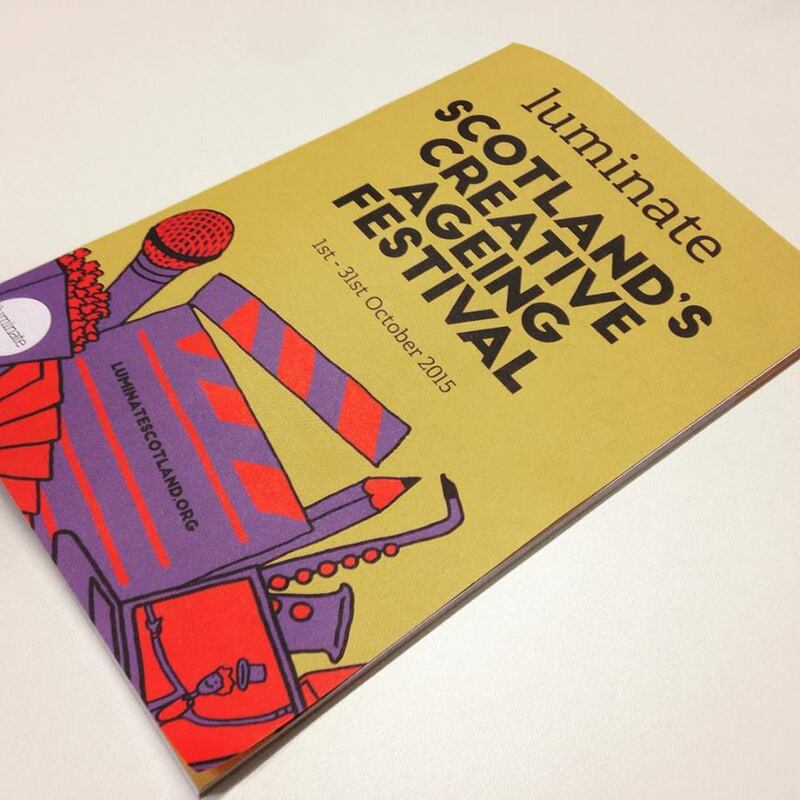 Trading Wisdom is part of the Scotland wide Luminate: Scotland’s creative ageing festival which starts on 1st October, bringing older people and people from across the generations together across Scotland to celebrate our creativity as we age, share stories of ageing and explore what growing older means to all of us.